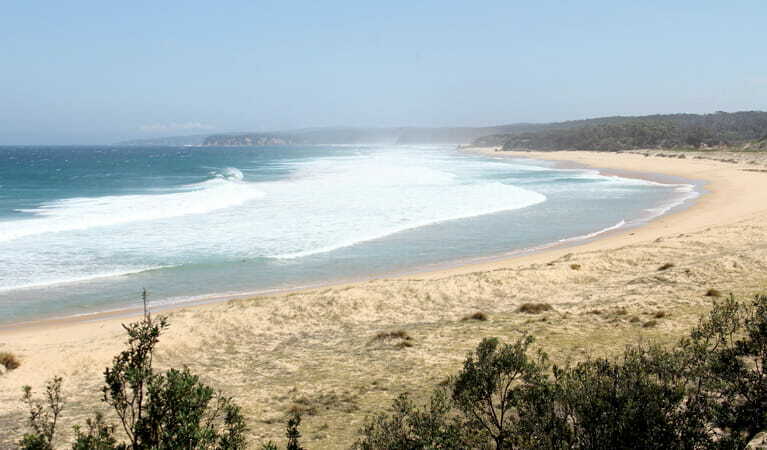 Middle Beach campground is a gem of the Sapphire Coast. This beach camping spot is ideal for water babies, offering great swimming, snorkelling, fishing and kayaking. Bookings not required at this campground. Sites operate on a first-in first-served basis. This site is not suitable for large groups. Schools and educational institutions with small groups should apply to the NPWS office for camping consent at least 3 months before the planned visit. To cook your food, you will need to bring your own gas or liquid fuel cooking equipment. Campfires and solid fuel cooking fires are not permitted. 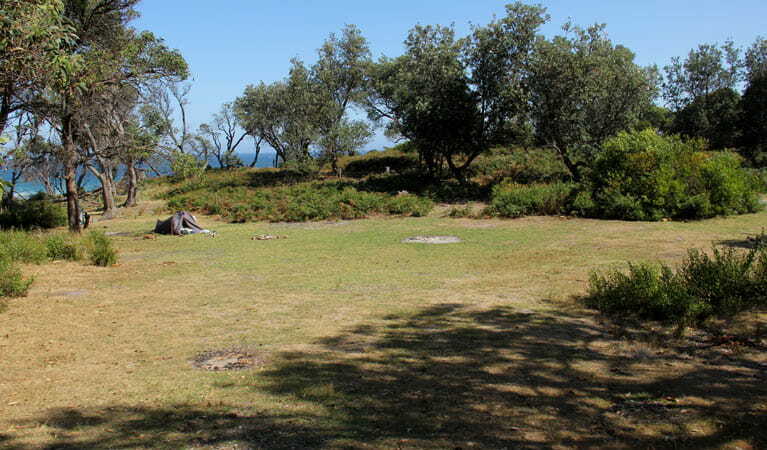 Middle Beach campground features 12 campsites in a small clearing flanked by trees and bushes. Make the most of its easy beach access for fishing, swimming or surfing. And definitely bring your kayak or canoe to enjoy a spot of paddling in the sea or on Middle Lagoon. 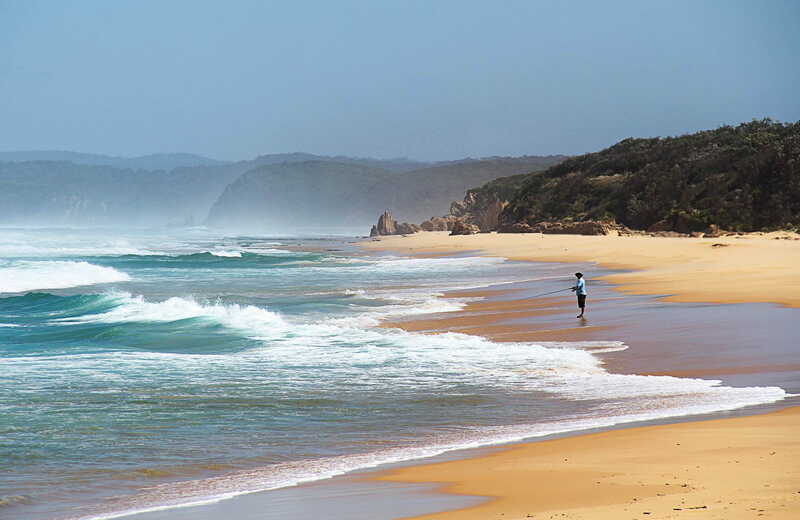 As its name suggests, Middle Beach sits right in the middle of the park’s coastline. It’s a walk-in campground, but don’t let that deter you - it’s only around 80m to the campsites from the car parking area. You’ll definitely reap the rewards of this lovely, quiet spot – particularly during holidays when other campgrounds fill up fast.